After crowning a 2012 champion just a few weeks ago, Power Events already has the pieces in place for another year of the PEGT Tour. The tour will look very similar to last year’s, and Power Events will host six events throughout 2013. The final event—which will take place in Dallas—will once again crown a tournament champion and then a Player of the Year. We’ve got a long way to go before we get there, but the first PEGT Tour event isn’t far off in the distance. And if you’re looking for an excuse to get out of the cold, this could be right up your alley. 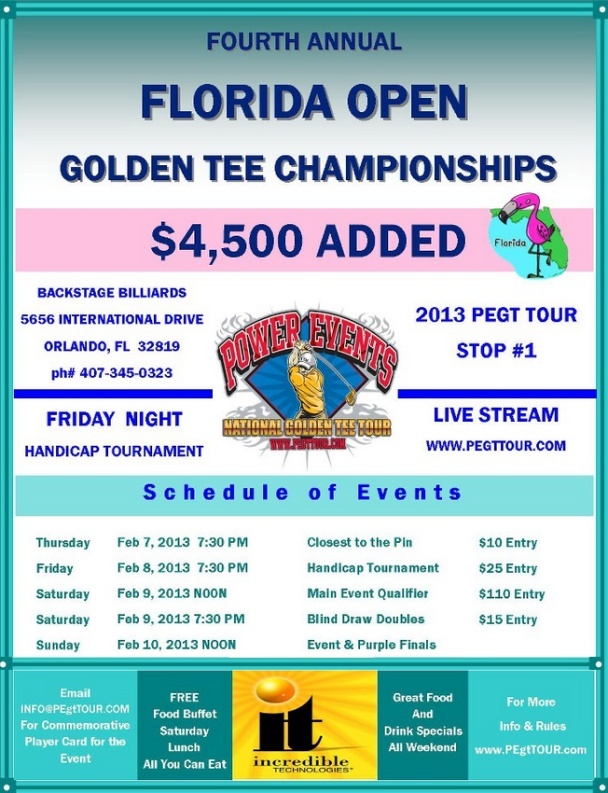 The 2013 Florida Open will take place on February 7 through February 10 at Backstage Billiards in Orlando. Up for grabs will be cash, a tournament title, and valuable PEGT Points that will be added throughout the year. The top 32 players with the most PEGT Points will then have a spot in the final Player of the Year tournament. Festivities will kick off on Feb 7 with a CTTP Contest. On Friday night, a handicap tournament will take place, and anyone can enter and win. The following day, the Florida Open will get underway with a five-course qualifier, and entry into the tournament is $110. Once all games are finished, the top 32 players will then meet up in a double-elimination match play tournament. On Sunday, matches will take place and the first champion of 2013 will be crowned. 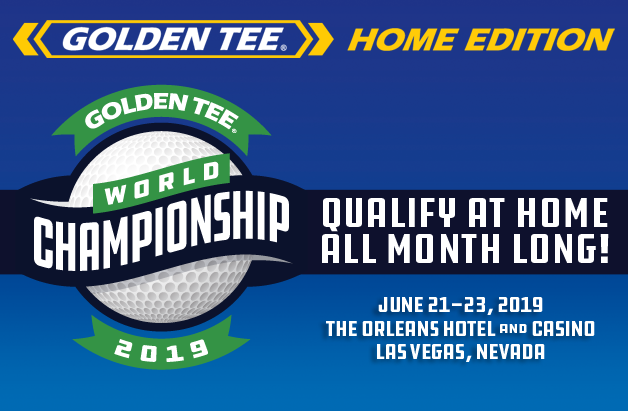 If you’ve never attended a Golden Tee tournament or a Power Events weekend, this would be a wonderful place to start. Get away from the cold and play Golden Tee for a whole weekend… now that is tough to beat. For more information on the event and accommodations nearby, check out the official thread on Underdog. Also, be sure to check out Power Events’ website for much more on this year’s tour.